Now, I find myself better equipped with the necessary knowledge and technical skills to face the challenges of this fast paced semiconductor industry. For Kye Howe, circuits represented a world of endless possibilities. It was this sense of awe towards integrated circuits that led to his pursuit of a Master of Science in Integrated Circuit Design. 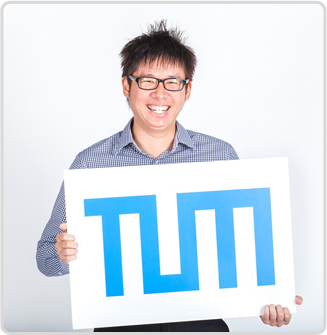 The highly specialized degree was the perfect fit for Kye Howe, especially since it was taught and awarded by 2 of the best engineering schools in the world – TUM and NTU. To top it all, Kye Howe’s passion did not go unnoticed. He was offered an industrial scholarship from Lantiq Asia Pacfic, a fabless semiconductor company specializing in communication ICs. This meant that he was able to work in Lantiq’s labs during his internship stint, as well as write his thesis while working on an industrial project.Kye Howe’s outstanding performance eventually led to the offer of a permanent placement in Lantiq to continue what he loves to do.